What's the difference between a policy, process and procedure? Seems like a simple question, right? And yet debating terminology is a recurring issue in our strategy meetings. We can easily decide on the functionality to create within our platform, but deciding what to call it is a whole other challenge. Clear? Thought not. To provide that all-important clarity we probably need the guidance of an ‘expert’ in this space. Someone that, like us, has spent hours debating the difference between a task and a process. Nice! Clear, succinct…but I fear it’s still not quite right. That’s right. It really doesn’t matter what policy, process and procedure means because ultimately they all mean the same thing – they are the ‘rules’ by which we run our businesses. 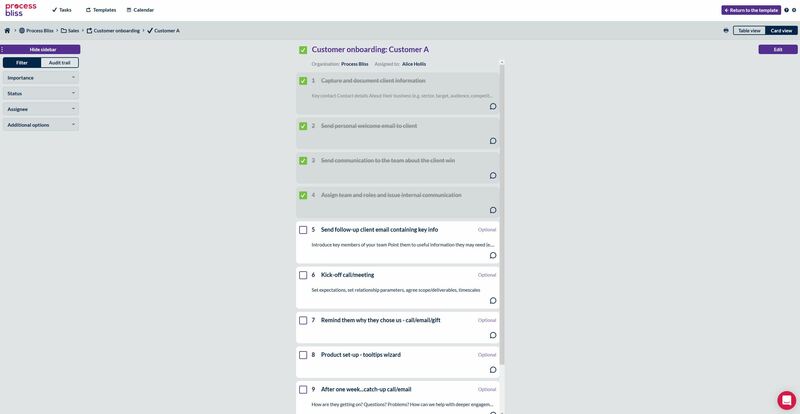 And just as your customer onboarding process is different to my customer onboarding process, is different to every other company’s customer onboarding process, the words we use to describe the way our businesses operate are different. Process Bliss documents the way your organisation operates. Through templates, you can record all the necessary steps, attaching useful information and relevant documentation. 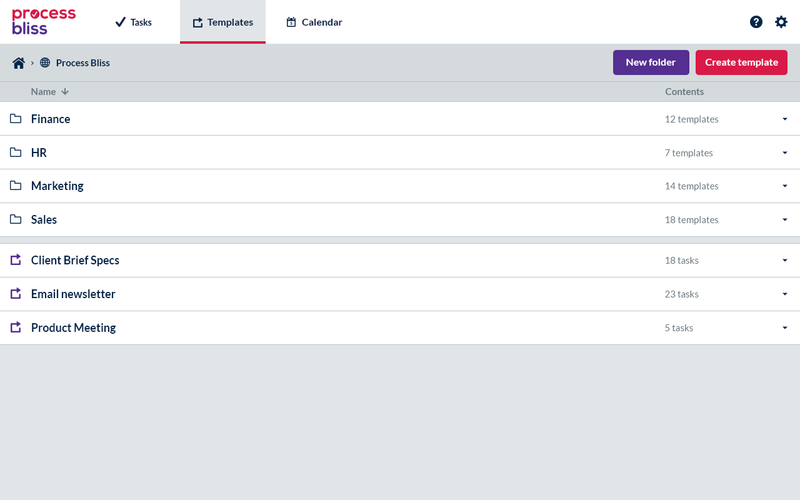 Every time your template is put into action, users are automatically notified that they need to do something. And when complete, they simply tick it off. 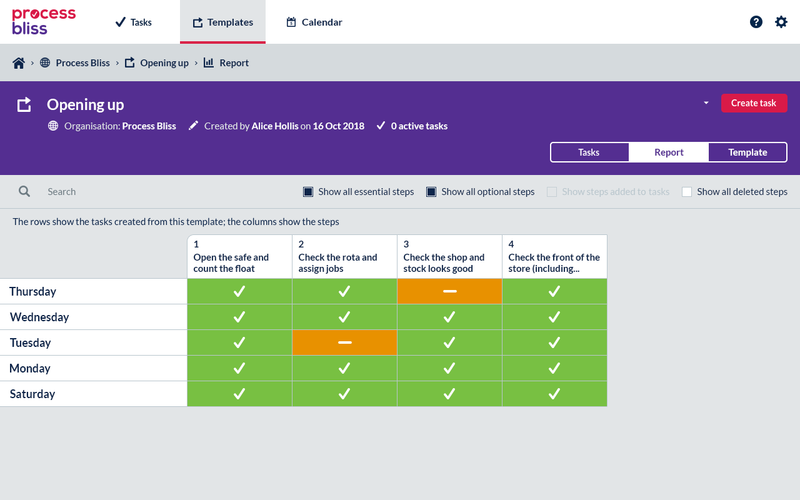 Through the simple reports you can see every instance a template has been used, if it was completed as you intended, or whether users encountered any issues. 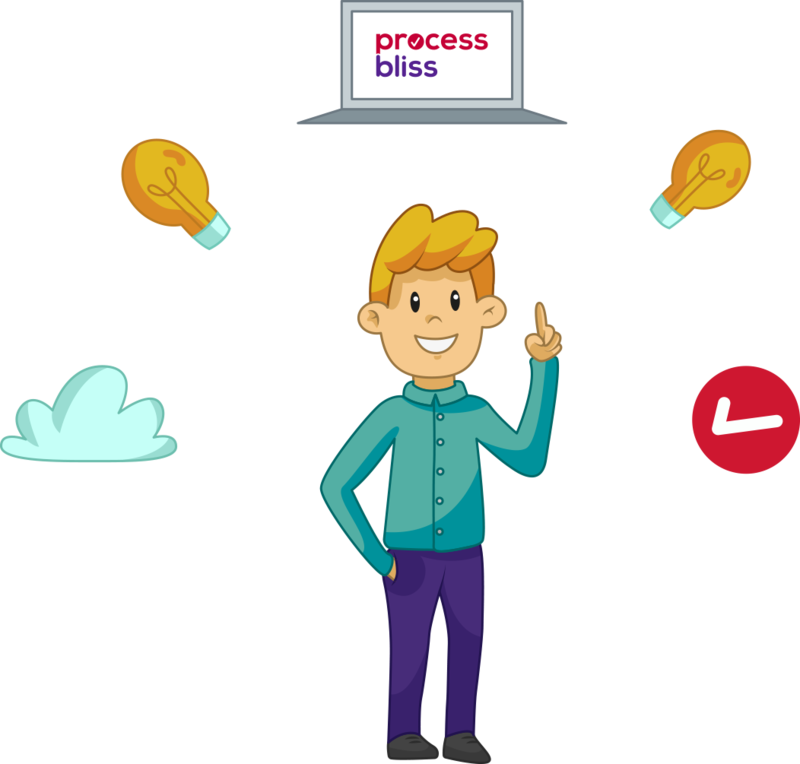 Discover more about how Process Bliss works…. The list goes on, and on…and on. We’re interested to learn more about the terminology you use to describe the way your business operates (we’re hoping you can help us reach a consensus to make our job easier! ).